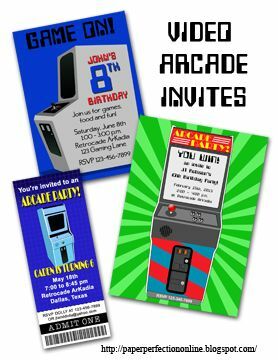 I love working on new designs for clients and I had a request for an Arcade invitation. Here are a few designs that I created. If you are interested in one of these designs or would like matching party printables like candy bar wrappers, water bottle wrappers, bag toppers or so much more contact Paper Perfection at jtanddolly@yahoo.com for pricing and details.